Did King George write to you in 1946? 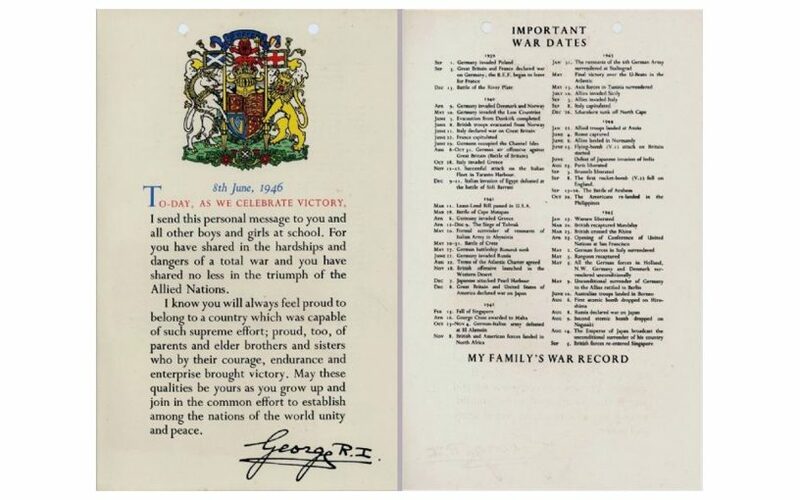 In 1946 King George wrote to all the boys and girls in the United Kingdom to thank them for their contribution to the war. I am writing a play about the contribution made by so many children to the war effort and how this simple piece of card has been passed down through the generations to serve as a reminder to countless families. If you still have a copy hanging in your home or remember being given one I would love to hear your story.